One manifestation of the conservatives' suspicion of Darwinian science is that many of them--particularly in the U.S.--tend to oppose the teaching of Darwinian evolution in public school biology classes unless "intelligent design theory" is also taught. Yesterday, a U.S. federal court in Harrisburg, Pennsylvania, began taking testimony in a dispute over the teaching of "intelligent design" in public school science classes as an alternative to Darwinian evolutionary science. The school board in Dover, Pennsylvania, wants to require that "intelligent design" be introduced into ninth grade biology classes. Some parents have filed a suit claiming that this violates the First Amendment to the Constitution by promoting "an establishment of religion." Defenders of "intelligent design theory" claim that it is a truly scientific theory that does not depend upon religious belief. This case could eventually be appealed to the U.S. Supreme Court, which would continue an endless debate over the public school teaching of evolution that began eighty years ago in the famous "Scopes trial" in Tennessee in 1925. This debate has reached an impasse. 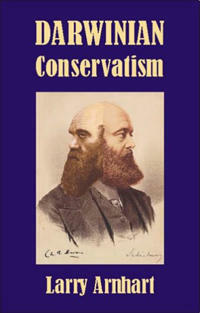 I have a proposal for breaking this impasse, a proposal that I briefly lay out in my book Darwinian Conservatism. Proponents of intelligent design at the Discovery Institute (a conservative think-tank in Seattle) have adopted the argument of "teaching the controvery." Why not teach the theory of evolution by natural selection along with intelligent design theory, so that students are fully informed about all sides of this debate? Opponents respond by saying in effect, "What controversy?" There is no real scientific controversy over the theory of evolution. The supporters of intelligent design theory are moved not by scientific motives but by religious motives. And after all, intelligent design theory is not really a scientific theory, because it appeals to supernatural causes beyond natural experience and the scientific method. Here's my proposal. Let's "teach the controversy" by teaching Darwin. We could have high school students read selections from Darwin's ORIGIN OF SPECIES and DESCENT OF MAN, along with some modern textbook in evolutionary theory such as Mark Ridley's book EVOLUTION (Blackwell Science). Surely, the proponents of evolution couldn't object to having students read Charles Darwin. And yet this could also satisfy the proponents of intelligent design, because Darwin himself presents intelligent design theory as the major alternative to his theory. In the ORIGIN OF SPECIES, Darwin frames the fundamental issue as a controversy between two theories--"the theory of special creation" and the "theory of natural selection." He indicates that until recently "most naturalists"--including himself--have accepted the "theory of special creation," which says that each species has been independently created by an Intelligent Designer. But Darwin thinks that now we have a better theory--a "theory of natural selection," which says that although the primary laws of nature may have been created by an Intelligent Designer, those general laws allow for the natural evolution of species by natural selection without need for special interventions by the Designer to design each species and each complex organic mechanism. Darwin indicates that neither theory can be conclusively demonstrated. But we can at least judge one theory as more probable if it can explain "large classes of facts" more intelligibly than the other theory. For example, if the "theory of natural selection" can explain the geographic distribution of species between the Galapagos Islands and the South American mainland and do this more persuasively than any alternative explanation based on the "theory of special cration," then we can judge the evolutionary theory to be more probable. Darwin acknowledges that there are many "difficulties" with his theory, and they turn out to be the very difficulties that are commonly stressed by proponents of IDT. But while Darwin admits that these difficulties are so severe as to be "staggering," he tries to answer these difficulties, while arguing that the theory of special creation has its own difficulties. The prominence that Darwin gives to the theory of special creation as the alternative to his theory explains why Philip Appleman, the editor of the Norton Critical Edition of Darwin's writings, decided to include in the 3rd edition selected writings from Philip Johnson and Michael Behe--two proponents of IDT. Appleman recognizes that the debate over IDT continues the debate seen by Darwin himself. Of course, the evidence and arguments for evolutionary theory have deepened since Darwin wrote. After all, Darwin didn't even understand the genetic mechanisms underlying evolution. So it would be good to have high school students read some modern survey of evolutionary science. But here again they could see the same fundamental controversy presented by Darwin. Mark Ridley is a biological anthropologist at Emory University. His book EVOLUTION is one of the leading introductory textbooks in evolutionary theory. When he surveys the "evidence for evolution," he suggests that we need to distinguish "three possible theories of the history of life"--evolution, transformism, and creationism. According to the theory of evolution, all species have evolved from a common ancestory, and they change through time. According to the theory of transformism, species have separated origins, but they change over time. According to the theory of creation, species have separate origins, and they do not change. Ridley argues that the evidence supports the theory of evolution as superior to the other theories. Students who would read this could thus see the controversy between evolution and special creation and judge for themselves whether Darwin, Ridley, and others are right in arguing for the superiority of evolutionary theory. Recently, I presented my compromise proposal on a panel at the convention of the Association for Politics and the Life Sciences in Washington, D.C. Chris Mooney, the author of THE REPUBLICAN WAR ON SCIENCE, was on the panel. He complained that it would not be right to allow high school students to think through these issues for themselves, because only scientific "experts" could judge the evidence for evolution. As far as he was concerned, the purpose of high school science education was to tell students what the "experts" believed, and any proposal to open up the classroom to real debate was actually part of the war on science coming from the Religious Right and George Bush. In my book, I give my reasons why I think that the arguments for IDT as a substitute for Darwinian science are weak, and why conservatives need to see Darwin as their friend and not their enemy. But, still, I see nothing wrong with allowing students to debate these issues for themselves, which might actually teach them how to weigh scientific arguments over issues with deep moral, political, and religious implications. Shouldn't that be the purpose of public education in a free republic? Herbert Gintis has written a review of DARWINIAN CONSERVATISM for Amazon.com, in which he criticizes the book as a "failure" because it presents a "disingenuous argument." Since I have learned much from the work of Gintis--particularly in evolutionary game theory--I respect his opinion and so feel the need to respond. I will quote each of his six paragraphs, and then reply. Larry Arnhart is a serious, perceptive ethical philosopher whose works deserve praise (and to be read), but this book is a failure. The arguments are weak and will certainly fail to convince most "conservatives" to embrace Darwinian evolutionary theory. I agree that the opposition of some conservatives to Darwinian science is so deeply felt that my arguments are going to seem weak to them. But as I indicate in my book, many modern conservatives--such as Friedrich Hayek and James Q. Wilson--accept evolutionary theory and employ it in developing their political arguments. Furthermore, the founders of the conservative tradition--Adam Smith and Edmund Burke--belonged to a line of social thought based on the idea of spontaneous, evolutionary order that led to Darwin. Conservatives who reject evolutionary ideas will find themselves in opposition to their own intellectual tradition. Evolutionary biology is scientifically correct, which is the main reason it must be accepted by anyone, whatever their political philosophy (Arnhart does not stress this). However, Darwinian biology can be either used or ignored in making political arguments, so I will rephrase the issue as: are there good arguments flowing from evolutionary biology for conservative political philosophy? We must note that at least in the USA, there are two quite different branches of conservatism, one espousing religious fundamentalism and the other classical economic liberalism. They have almost nothing in common intellectually and are simply politically linked by historical events. Arnhart does not stress this point. There surely is a tension between the libertarian conservatism that begins with Smith and the traditionalist conservatism that begins with Burke, a tension that fuels much debate among conservatives. But in my book, I argue for a fundamental agreement between libertarianism and traditionalism, which is suggested by the intellectual friendship between Smith and Burke. Libertarians and traditionalists generally agree on a realist view of human nature as imperfecti ble and on the need for the evolved, spontaneous orders of family life, private property, and limited government as the basis for ordered liberty. Darwinian science helps to explain how those spontaneous orders conform to the evolved nature of human beings. Arnhart's arguments directed towards religious conservatism can be summarized as: (a) evolutionary biology is compatible with belief in God; (b) evolutionary biology recognizes and reinforces the notion that religious belief is a universal element of human nature; and (c) a strong adherence to family values is part of human nature. I agree with these statements, but Arnhart never addresses the burning issues, which include abortion, homosexuality, gay marriage, and state-religion separation. He does deal with intelligent design, which he rejects as a scientific theory. This is part of why I call his book "disingenuous": he simply avoids the hard topics. If I can persuade religious conservatives to agree with (a), (b), and (c), I will consider my book a great success. And if I can even get them to question the "intelligent design" arguments, I will be elated. As far as I'm concerned, these are the "burning issues"! It is true that I have said nothing about a wide range of policy issues such as abortion, gay marriage, and so on. But these are issues to be determined by prudential judgment rather than broad principles of human nature. For example, I argue that parental care for children is a natural human desire. But whether we should identify embryos as children and extend to them the same moral concern that we give to children is a matter for debate. Turning to classical liberalism, Arnhart says that Darwinian evolution supports a Burkean political philosophy. I think this is a plausible argument, although Arnhart avoids all the hard questions by choosing as the alternative political philosophy an absurd caricature of the leftist alternative that is more or less 19th century Utopianism. Societies grow organically, Arnhart says, and cannot be socially engineered using the principles of Reason alone. Of course this is correct, but this is accepted by all relevant political philosophers today (except Peter Singer and his bizarre ilk). What about the proper extent of government, the treatment of poverty, the environment, and foreign relations? Nothing here. I will be happy to have my readers agree with Gintis that I have made a good argument for Darwinian science as supporting Burkean political philosophy. That's the whole aim of my book! If it is true that "all relevant political philosophers" have embraced a Burkean rejection of utopian rationalism, then I must be completely out of touch with the world of political philosophy today. But then what does Gintis mean by "relevant"? And does he really mean to claim that no serious political thinkers today advocate social engineering to achieve social justice? If he is right, then Friedrich Hayek's critique of rationalist constructivism has persuaded everybody. I wish. I concede that I haven't laid out policies for treating poverty, foreign relations, and so on. But as I indicated above, I see such issues as matters of practical judgment rather than general principles of human nature. The liberal/conservative dichotomy might be crude, but it is not a "sick joke." If I am right in arguing that conservatism rests on a realist view of human nature, while the Left rests on a utopian view of human nature, then the political history of the West over the past two centuries has turned on the conflict between these two visions. (Here I follow Thomas Sowell's lead in his book A CONFLICT OF VISIONS.) The claim of my book is that Darwinian science confirms the conservative realist vision of the natural imperfectibility of human beings. That's why conservatives need Charles Darwin. That’s the message of Larry Arnhart’s new book Darwinian Conservatism, launched this month by Imprint Academic. Ever since the publication of Darwin’s Origin of the Species in 1859, political and religious conservatives have had an uneasy relationship with Darwin’s theory of evolution. Many conservatives accept the Biblical doctrine that human beings were specially created by God in His image. And some conservatives believe that the living world shows evidence of being the product of an "intelligent designer". Many of these conservatives fear that the idea of humans evolving naturally from lower animals denies their moral dignity as special creatures of the Divine Intelligent Designers. Going against this movement, Larry Arnhart aims to persuade conservatives that Darwin is their friend and not their enemy. The author claims that a Darwinian science of human nature supports the moral, political and religious ideas of conservatism. Darwinian biology confirms the conservatives’ realist view of human nature and denies the leftists’ utopian view of human nature as perfectible. Larry Arnhart is Professor of Political Science in Northern Illinois University. He holds a Ph.D. from the University of Chicago and specialises in the history of political philosophy, ethics, philosophy of science, philosophy and history of biology, philosophy and history of the social sciences and biopolitical theory. Darwinian Natural Right: The Biological Ethics of Human Nature (Albany: State University of New York Press, 1998). Political Questions: Political Philosophy from Plato to Rawls, first edition (New York: Macmillan Publishing Company, 1987), second edition (Prospect Heights, IL: Waveland Press, 1993). Aristotle on Political Reasoning: A Commentary on the "Rhetoric" (DeKalb: Northern Illinois University Press, 1981; paperback edition, 1986). In his book, Arnhart sketches twenty natural desires that are innate in human beings as shaped by Darwinian evolution. And he shows how the conservative commitments to traditional morality, family values, private property, and limited government satisfy the evolved natural desires of human beings. He indicates how the social binds of marriage and family life defended by conservatives satisfy the natural human desires for sexual mating, sexual identity, and parental care. By contrast, those on the left tend to see marriage and family life as artificial cultural constructions that can be changed, or even abolished by social engineering directed to absolute sexual equality. 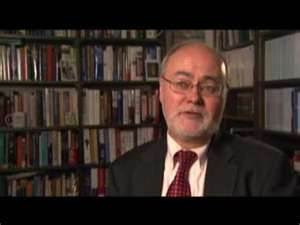 Arnhart presents his arguments for why conservatives are wrong to fear Darwinian biology and why conservatives should see Darwinian science as supporting their values. Darwinian evolution is open to a religious belief in God as the First Cause of the evolutionary laws of nature.